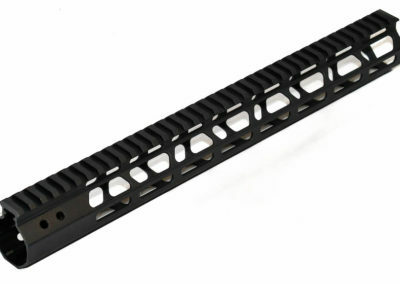 The Foxtrot Mike Products Ultra Light M-LOK handguard features an ergonomic, slim-line design for maximum weight savings and strength. 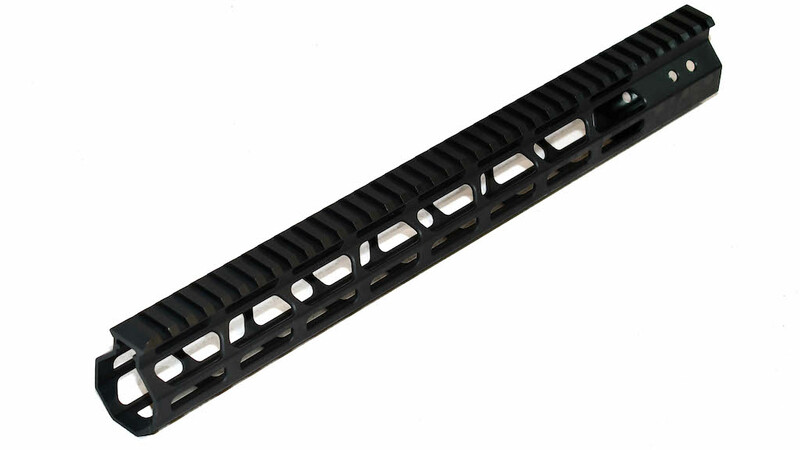 The proprietary barrel nut is machined from steel and easily installs with a standard 1 3/16″ or 30mm crescent or box wrench. 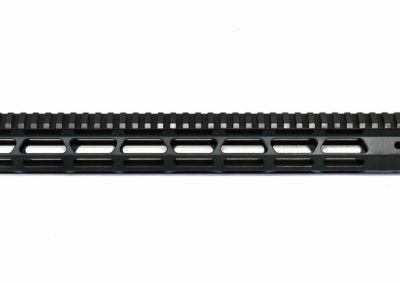 The free floated rail is machined from durable 6061-T6 aluminum and mounts to the barrel nut with eight high strength stainless steel screws for a secure and worry free fit. 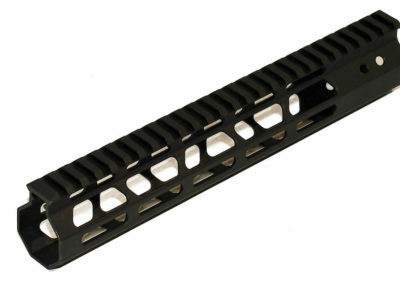 barrel plus incredible accessory-mounting freedom. 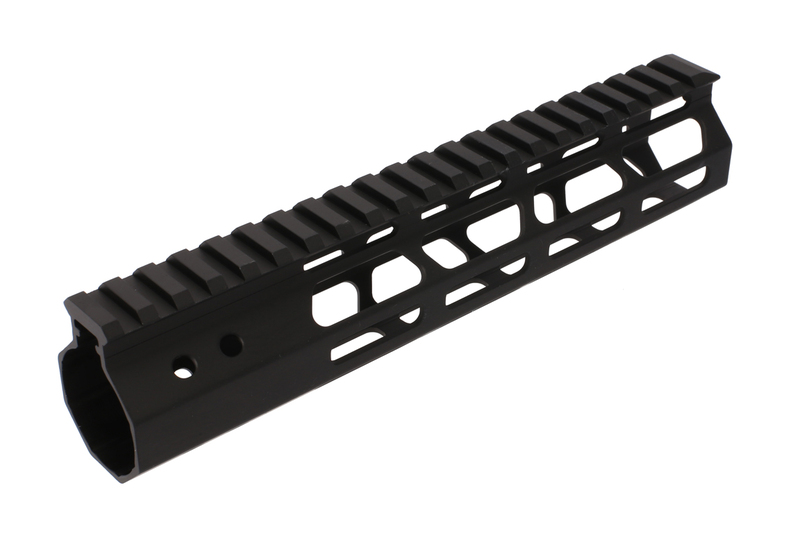 With seven rows of M-LOK slots and a full-length Picatinny rail up top, the FM-9 Handguard gives you acres of real estate for mounting accessories exactly where you want them. 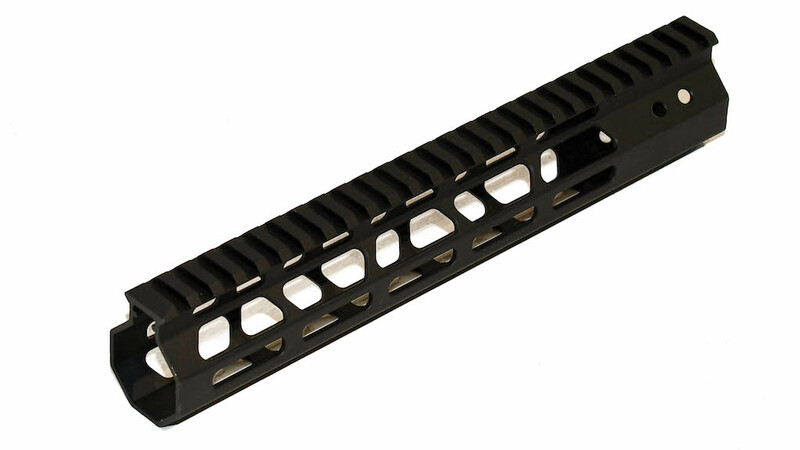 Foxtrot Mike Products provides American consumers with cutting edge products that utilize the highest quality materials and manufacturing processes at an affordable cost. 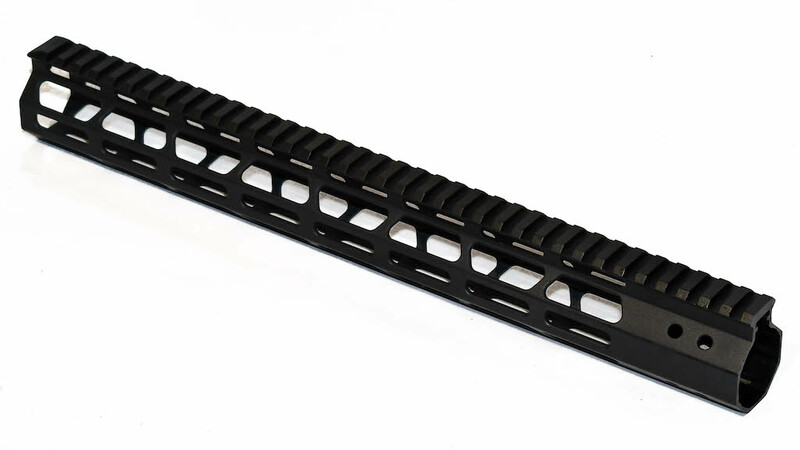 This FM products AR15 free-float handguard is an excellent choice for building a durable, accurate rifle. 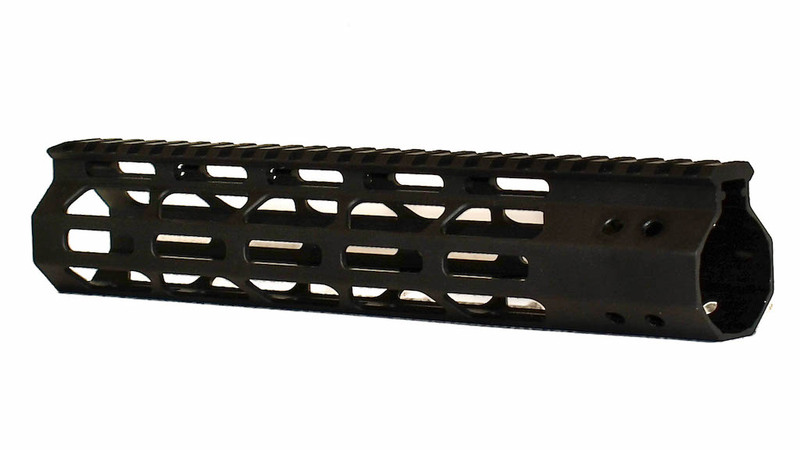 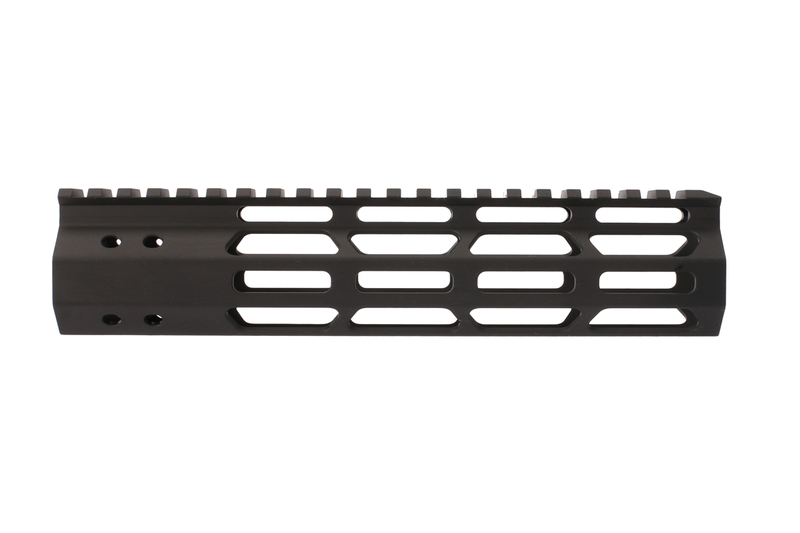 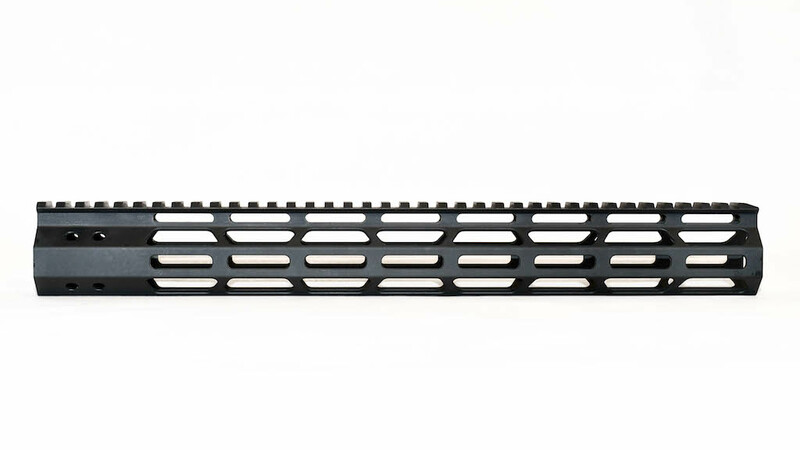 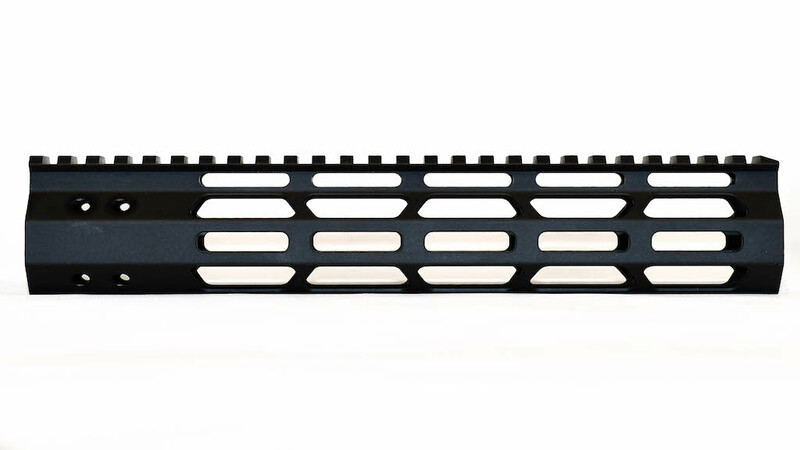 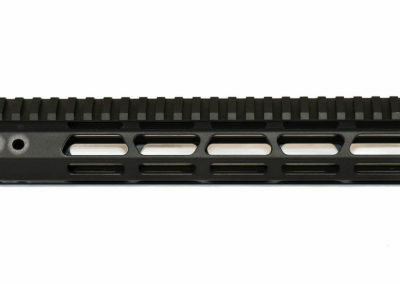 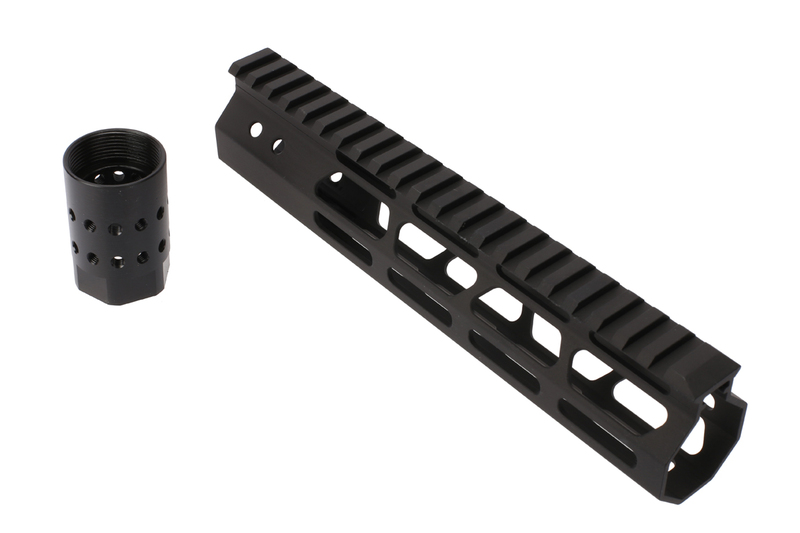 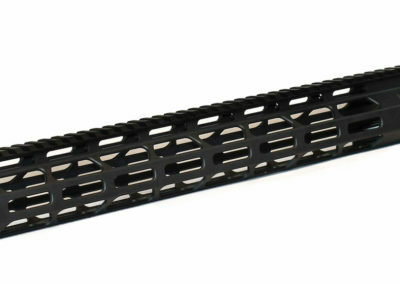 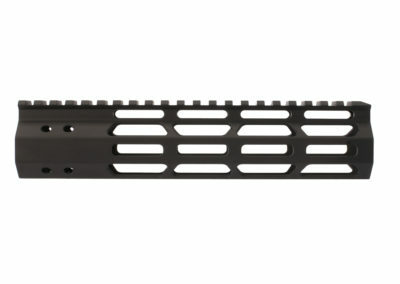 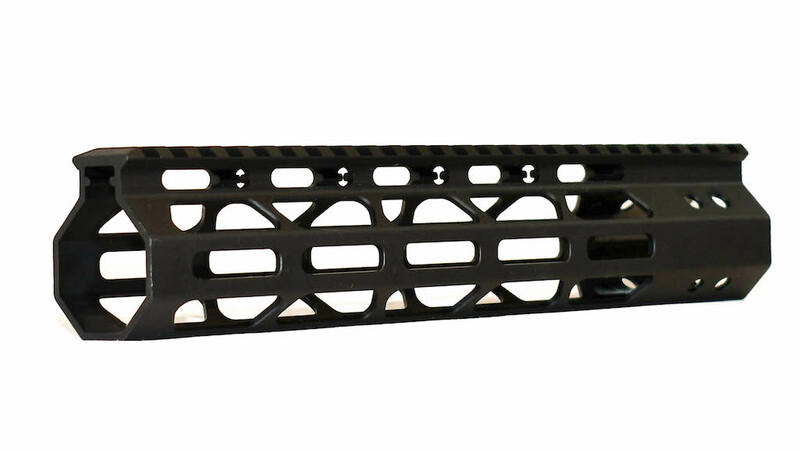 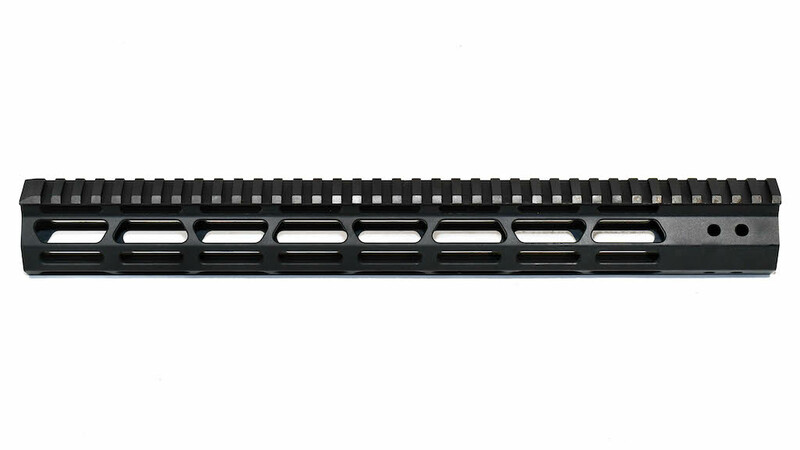 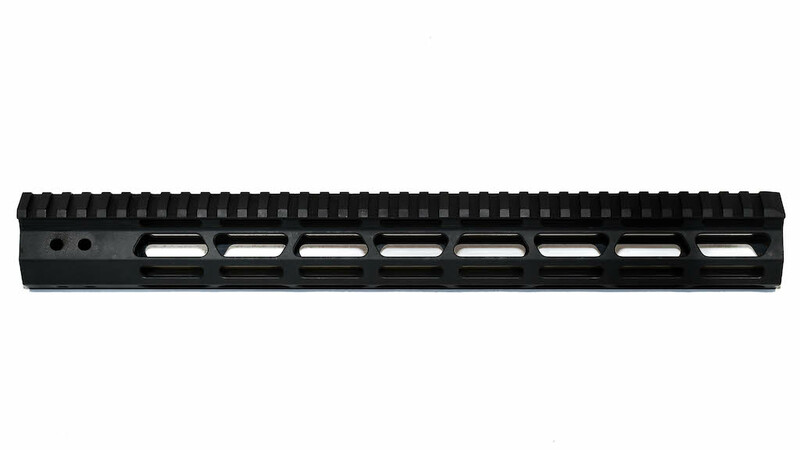 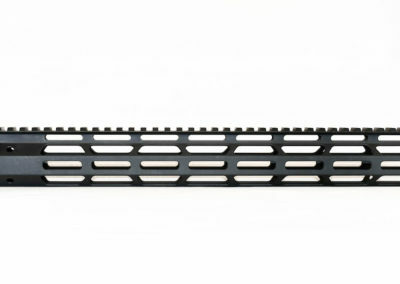 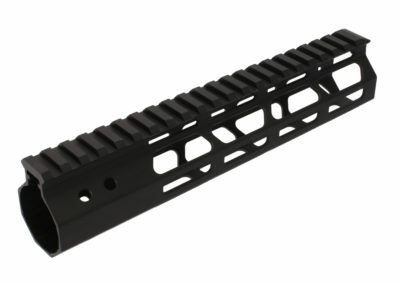 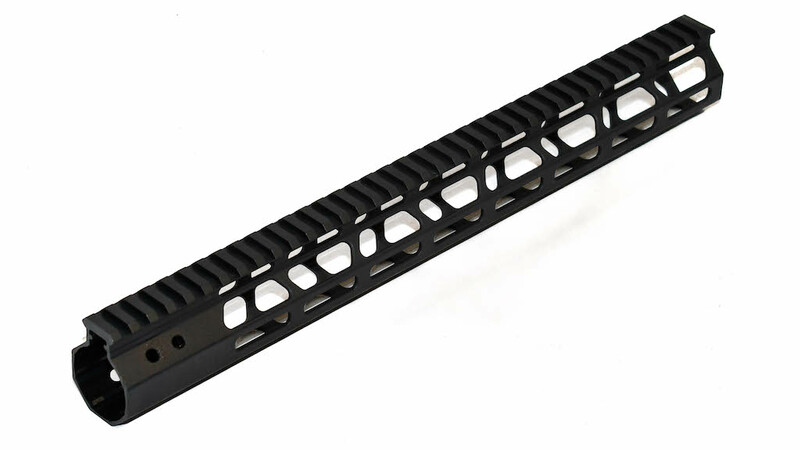 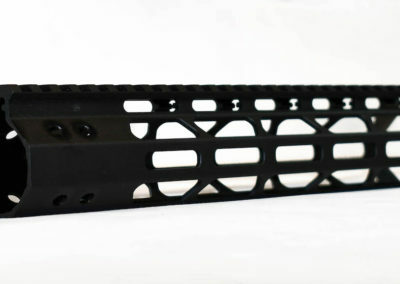 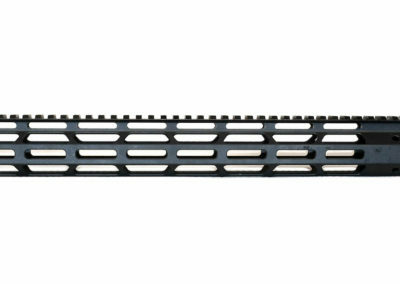 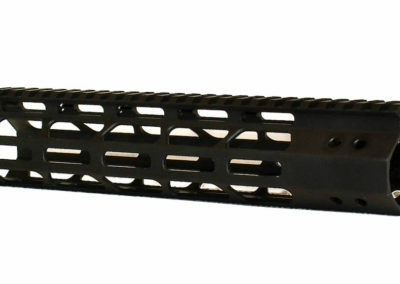 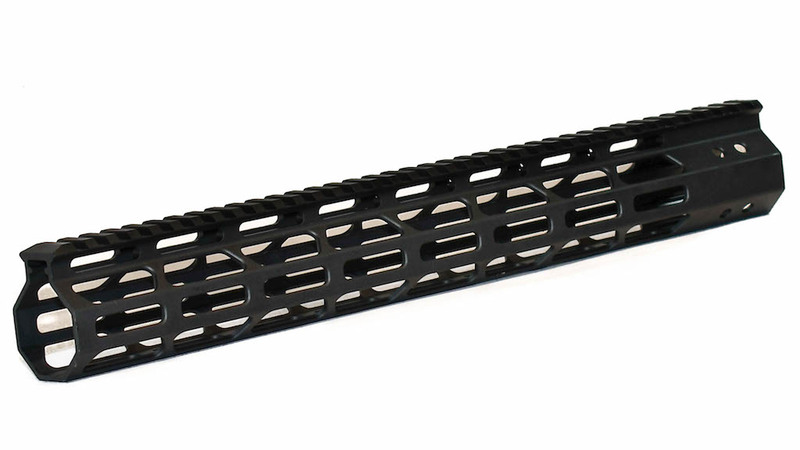 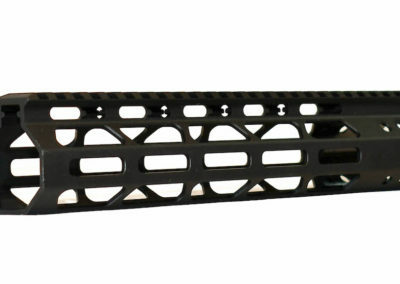 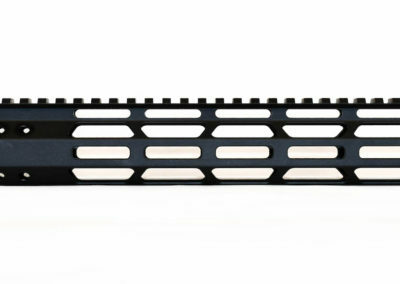 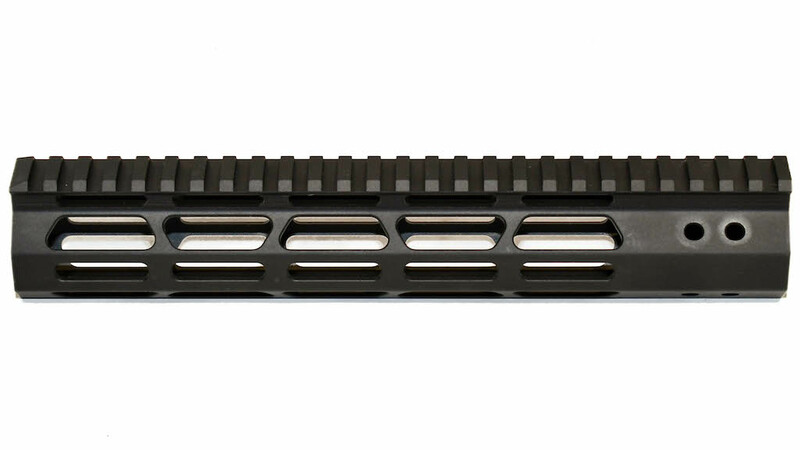 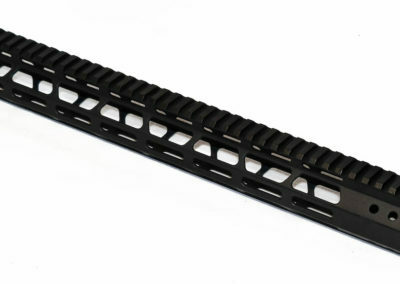 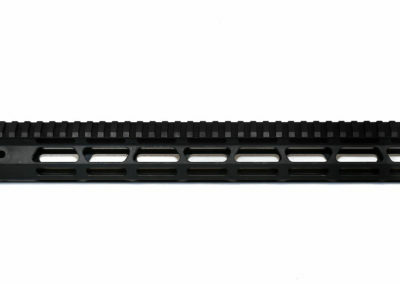 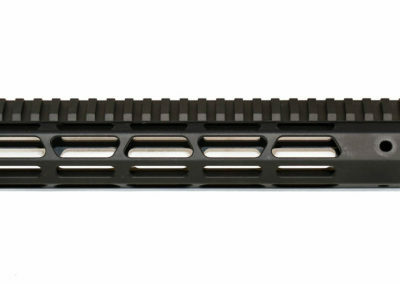 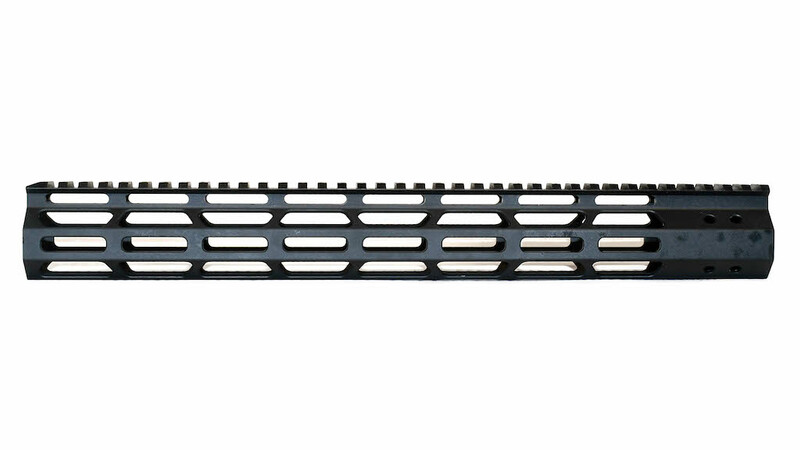 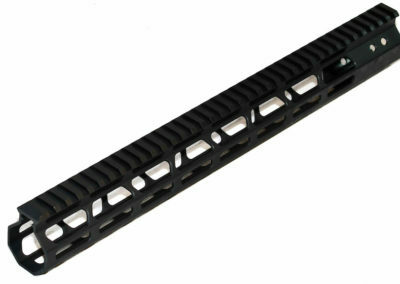 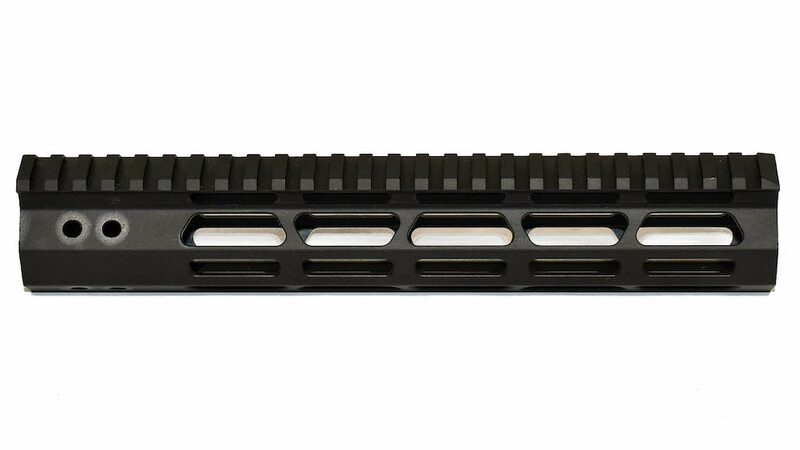 Available in 8.5″, 10.5″ and 15″ lengths – choose as much handguard as you need! 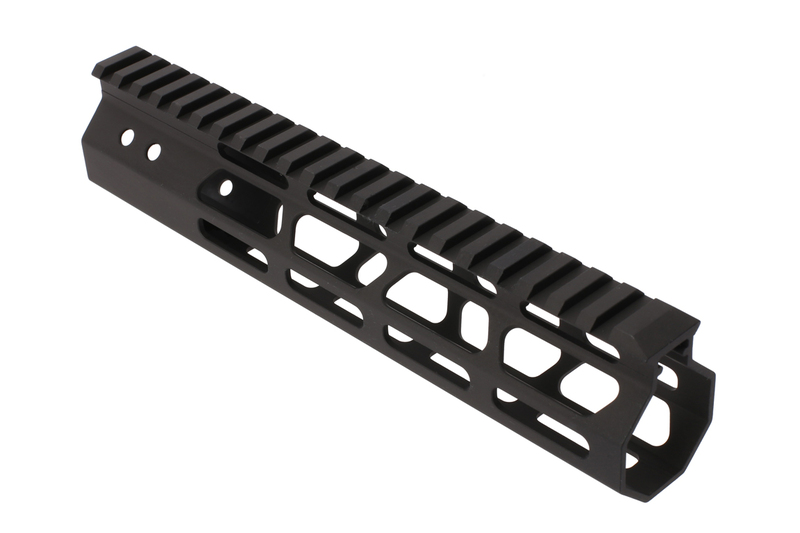 15″ handguard weight is 11.6 oz. 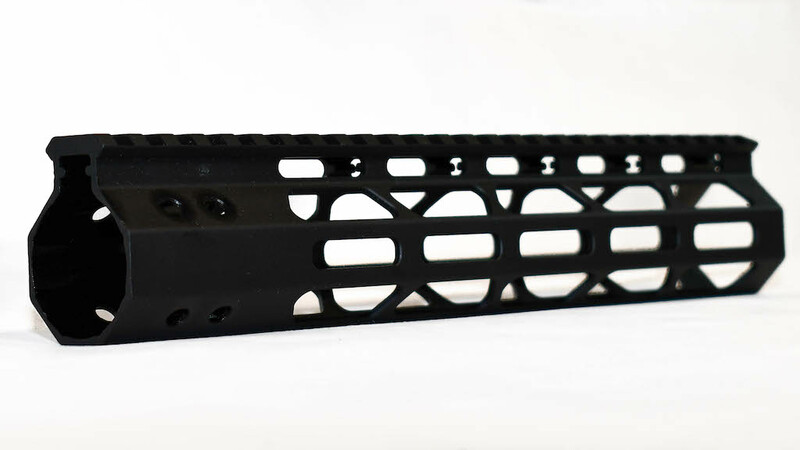 10.5″ handguard weight is 9.5 oz.